Get the right drone educational resources from the experts in the industry. Contact Drone Education Services today by phone or email to schedule an appointment. 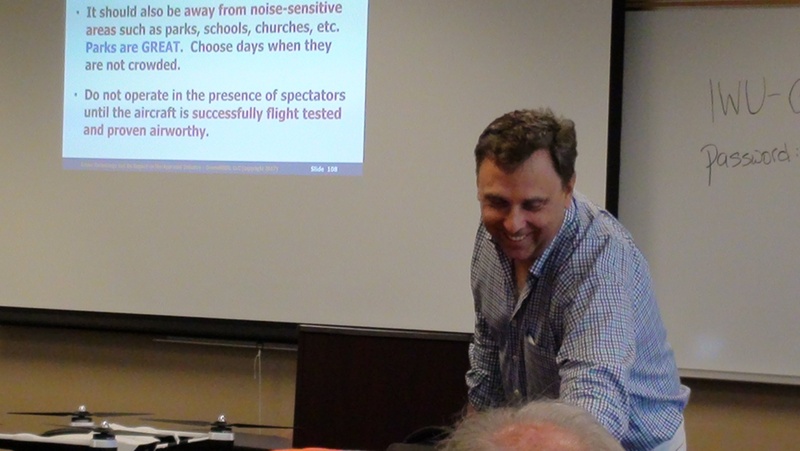 Drone Technology seminars and presentations have been known to bring members back into the classroom. It has also branched out to other real estate professionals. Professionals from real estate brokerage, valuation, litigation, development, construction, inspectors, and insurance have all attended seminars. Effective presentations have targeted multiple institutions. State credit along with various professional credits have been given for the seminars. These credits have included organizational credits for various industries. I know what it means to deliver an exciting presentation to a captive audience. Education is better delivered with a lot of visuals, multiple slides and real-world experience. Also included is the ability to download a workbook. Time flies by and my programs can easily fill the day. I strive to facilitate an open environment where audience participation is encouraged and welcomed. . I can even link and fly a small programmable drone to demonstrate real world applications in the classroom. The goal is to open minds to understanding the benefits of drone technology and its potential contributions to the real world. . Seminars are linked to the website “Drone Education Services” where the attendees can download a free workbook to go along with the seminar. Included on the website are links to resources that will aid in the development of a drone business. Also available is the YouTube Channel “Drone Education Services” which offers education on classroom material and further education on drone technology. With thirty years of real estate experience and five years of presenting applications to drone technology, the seminars are only continuing to grow in popularity and branch out. I currently have two seminars available for presentation. The first seminar is “Drone Technology and Its Impact on the Appraisal Industry.” It has been presented in 29 states to various real estate valuation professionals from the Appraisal Institute, the Appraisal Coalition, the American Society of Farm Managers and Rural Appraisers, the American Society of Appraisers and International Business Valuation, and the Institute of Real Estate Management. The second seminar is entitled “Appraisal Aerial Inspections using a Drone.” It will be introduced in the spring of 2019. It will also include a free workbook and the ability to purchase the book “A Step-by-step Guide to Developing a Profitable Aerial Inspection Business” at a discounted price. Be sure to check out our YouTube Channel for Instructional and Educational videos. Be sure to check out our Facebook Page and Twitter Page for current News, Opinions, Information and Reviews. 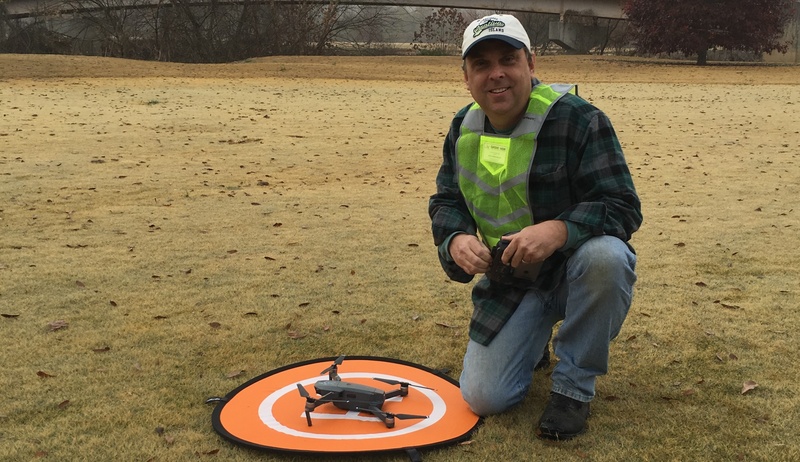 Drone Education Services, formerly known as DroneNOIR, has been providing quality aerial drone education for over 5 years. Presentations can be designed from 5 minutes to all-day. The goal is to provide the highest quality information and education on the benefits of drone technology. We speak on a variety of topics and presentation can be tailored to your needs. This seminar is a seven-hour presentation of the integration of Drone Technology to the Appraisal Practice. It is broken down into a morning session and afternoon session. Thanking some of the various sponsors to the seminar and how they use drone technology. Drones can revolutionize so many industries, especially in real estate. Drones are more energy efficient. The drone industry will create jobs. States are passing laws to protect privacy rights. The private sector will also find solutions to privacy concerns. FLYING - In-class presentation and review of presented material. Incorporating drone footage along with ESRI data to do a MOCK Highest and Best Use and Market Analysis for a client. A brief overview of the steps to become certified. Do You Have the Right Equipment? What kind of drone do you need for business? What kind of camera or sensor equipment do you need? Covering essential items to consider for business. Going over tendencies and attitudes which would have an adverse effect on your ability to complete an operation safely, reliably, and most important repeatably. Birmingham, Alabama – IREM – Lunch Presentation – “Drones and Real Estate Property Management." Freeport, Maine – “Appraisal Aerial Inspection Using a Drone." 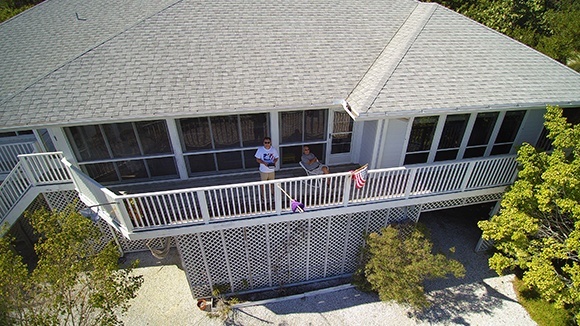 Destin, Florida – “Appraisal Aerial Inspections using a Drone." Fort Lauderdale, Florida – “Appraisal Aerial Inspection Using a Drone." Why Put On a Drone Seminar? I have over 30 years of both residential and commercial real estate valuation experience and 5 years of drone industry experience that I am able to draw correlations between the two industries. Unmanned aerial technology is revolutionary and can give those who understand it an advantage in the highly competitive world of real estate. Appraisers, real estate attorneys, real estate agents, real estate developers, forestry experts, surveying companies, construction companies, agricultural companies, film and television, insurance brokers, power companies, Department of Transportation, search and rescue, airline pilots, and representatives of the FAA have attended this seminar. Seminar attendees walk out of the presentations with new ideas and thinking outside the box. The seminar generates lively discussions and has opened doors to real estate that weren’t even thought of before. I weave appraisal valuation topics and real estate experience into the seminar. I currently work with several drone companies in Atlanta in business development and consult with drone companies across the United States. I have developed a wealth of experience and can share some insightful points. Instructor very good and very knowledgeable. Very enthusiastic about topic and experience with the subject matter. Left the application of the technology to our imaginations. A good introduction to Drone Technology. Very personable; a good communicator. Knowledgeable in all areas of Drone Technology. Enjoyed material and data presented. Wonderful enthusiasm and subject knowledge. Willing to answer all questions. Ability to express the enjoyment of the class through his experience. Truly enjoys the subject. Infectious enthusiasm. Exceptional experience in drone application. I am blessed to have been in this class. Passionate about the subject. Lamar was very informed and presented the material in a great way. Good instructor, knowledgeable, present material and keep class interesting. 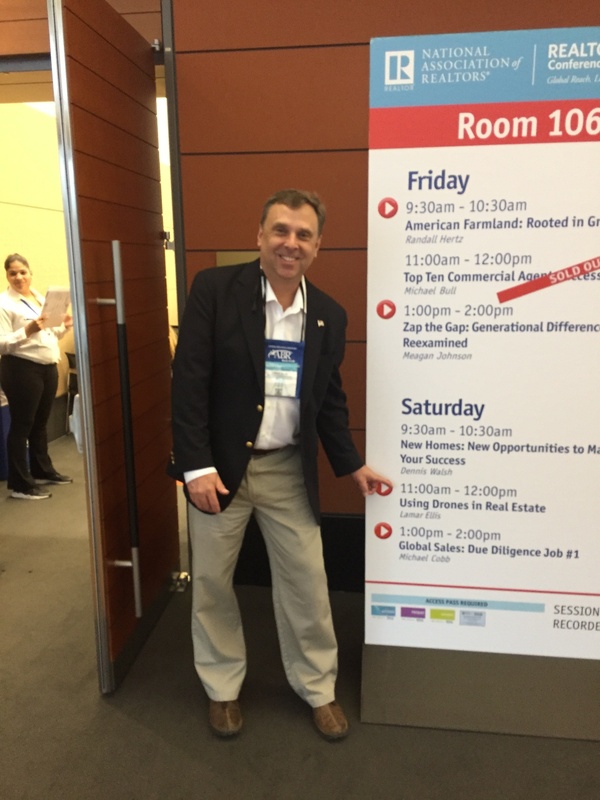 Good presenter and presentation – lot more information than I have had in previous seminars. Very good topic and instructor has a passion for this industry. Instructor did a nice job. He is very knowledgeable about the topic. He is passionate about the topic which makes it a lot easier to listen to. The drone demo was cool to see. Lamar did an awesome job teaching the course. Very interesting subject. Well presented. Real footage was very interesting; very interesting to see drone be flown. The instructor is very knowledgeable and passionate about the subject. Very interesting! Great class. Great information for appraising. Great job with pictures, videos, and live demonstrations. Take-home information more complete and organized chronologically with the presentation. Very interesting topic. Live demo was good. Interesting content. Good job. -No improvement needed. The wave of the future. Good info to know! Great presentation – very interesting. Most timely course needs to come back! Industry in infancy, especially in rural Wyoming.